Anyway, my question is, can anyone recommend some hot pepper varieties that don't have that habanero taste, please? From mild ones to extra hot ones with a nice flavor for hot sauce making and drying. All the classic older sauces are based on Annuums. I love Aji's or Baccatums , but can't make a sauce I like with them. Think Tabasco , Peri Peri , Sriracha , Louisiana hot sauce , all based on Annuum peppers. There is a lot of noise around the newest and hottest peppers , but don't be afraid to go back to the basics. Good for sauces and drying. But most of all , enjoy it. To the OP: you're not going to get very hot if you avoid C.chinense, but C.chinense is going to come with that "chinense skunk" that you apparently dislike. (Personally, I love it...) In 2019, I am growing Shabu Shabu, which is supposed to be near-superhot in heat but with more of a pepper-y (as in, Piper nigrum) flavor. I haven't tried it yet, but tbh, i'd be surprised if it didn't have significant amounts of chinense-skunk character. I've grown Paper Lanterns, which had low-level Hab heat but not a whole lot of Hab flavor. It was still there, but it was quite a bit toned down compared to most other chinense. Hth. My real advice would be to develop an appreciation for the chinense experience, B/c in my opinion, the best chiles are all chinense... If you can't do that, stick to annuums, frutescens, etc and kiss the idea of truly hot peppers goodbye. How many different habaneros have you tried? I don't like the orange ones but chocolate habs are among my favorite peppers. There could be plenty of chinense peppers you'd enjoy. Tabasco all should be good. I'm not a fan of that typical habanero taste either but I have tasted some small pieces of Bhut Orange Copenhagen (BOC) that had no hab taste at all. I understand what you mean about the Hab/chinense flavor, I cant stand it! I dedicated my entire 2018 grow to finding the best tasting (to me) peppers of all heat levels, including Chinense varieties from hab level all the way to ultras. I grew lots of different Scotch Bonnet varieties due to all the buzz about the awesome flavors. Although much more tolerable, for the most part, I found them do be no different to the others in terms of the strong chinense flavor profile. 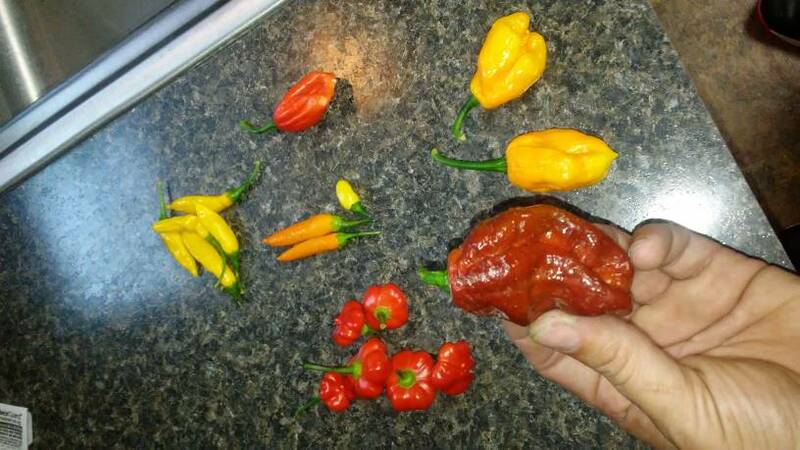 Anyway, this is what I came up with, from mildest to hottest: Aji Fantasy, Bishops Crown, Jalapeno, Serrano, Chocolate Scotch Bonnet, Yellow Devils Tongue, Yellow Bhut, Caramel Bhut, 7 Pot Brain Strain Yellow, Chocolate Moruga. Best of the best imo. Those will be on my list next year, along with a few new ones to continue my search. Edited by CMJ, 07 December 2018 - 10:14 AM. Lotah Bih. The heat seemed pretty comparable to a habanero to me, but it doesn't smell or taste like a chinense. Because it is a frutescens. And it is easily the hottest frutescens that I have tried so far. Also, + 1 for Paper Lantern Habanero. That is a good one, and the chinense taste is more subdued than in most other habs. They tend to be really productive too. Uck. Just when I thought I'd gotten all my seeds for 2019 sorted out, now I gotta find these Lotah Bih jawns. I'm not even sure I'll like them, but the idea of a frute with Hab heat fascinates me. Along with the other great varieties listed especially the frutencens. Jamaican Yellow Mushooms (and red for that matter) are pretty damn hot for an annuum and have a great flavor. They don't have that strong chinense flavor you dislike. I like your list, theres a couple Ive tried and some Ive been looking to try. Got pics of the caramel Bhut? Not the best pic but it's the only one I have. This was a particularly large pheno that I got from it last season. The majority of the pods were much smaller. Very nice, yeah the pods are smaller from what I found online. Im thinking that needs to get added to my list for this grow year. Did it have a smoky flavor like folks describe? I am no expert on peppers; my advice would be to try different ones. Last season I tried growing lemon drops. What a nice , prolific grower. I have just started my seeds for this season and am starting Bulgarian carrots, jalafuego as new ones. I like all I have tried in sauces as long as the sauce isnt nuclear. I want the taste plus a creeping short lasting heat. My bet is that every season you will find a new favorite. They do get fairly hot for annuum. I really liked the flavor too. They make a really good sauce with just a little bonnet added. Dry very well too. Edited by ShowMeDaSauce, 23 January 2019 - 04:14 PM.